Introduction: With more than 3,000 students, the College of Agriculture and Life Sciences (CALS) is the second largest undergraduate college at Cornell University and the third largest college of its kind in the United States. The College's educational programs are geared towards contemporary, real-world issues. Faculty, staff, and students at CALS are at the cutting edge of research in the life sciences, environmental sciences, food and energy systems, and community and economic vitality. In national surveys, CALS consistently ranks as the best college of agriculture and related sciences in the country. The land-grant mission of the College, which encompasses research, education, and extension programs, allows for the creation and dissemination of knowledge that improves lives for not only citizens of New York, but also the nation, and people around the globe. A CALS horticultural expert inspects a vineyard for black rot in 1907. 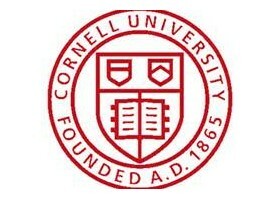 Agriculture was a major catalyst for Cornell University's creation in 1865. During the Civil War, federal land grants were given to the states to establish colleges of agriculture. Ezra Cornell and his friend Andrew Dickson White persuaded the New York State legislature to locate the state's new land-grant university in Ithaca. Cornell, a prosperous farmer, inventor, and businessman, donated a half-million dollars and contributed his own Ithaca farm for the campus. Originally, the College focused on improving farming practices. Even prior to 1900, the departments of entomology, agronomy, horticulture, dairy industry, and animal industry were formed. Over the years, CALS' departments and programs have established world-recognized teaching, research, and extension programs in agriculture, community, human and rural development, environment and natural resources, food and nutrition, applied economics, international programs, and life sciences. The College is committed to achieving and maintaining excellence, relevance, and impact in each of these programmatic areas. Female students undertake scientific experiments. Working with producers, the research, teaching, and extension efforts of the nation's land-grant colleges and universities have made American agriculture the most productive in the world. Still, agriculture and agricultural producers, as well as consumers, face significant challenges. CALS' research, teaching, and extension programs build community capacity, improve lives, protect the environment, and enhance the economic well-being of people and communities. CALS' outreach activities influence the decision-making processes of families, businesses, and governments in local, national, and international venues. CALS' land-grant mission intersects and overlaps all our core academic priorities, from food and energy systems to life sciences to environmental sciences to community and economic vitality. As science develops and society's needs evolve, CALS remains committed to research and education that is focused on serving the public good and making a positive impact on the world.